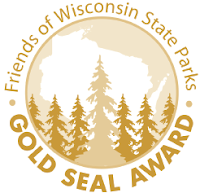 2015 Gold Seal Award presented by Friends of Wisconsin State Parks to Wyalusing State Park for Best Trails to Hike/Bike in the Fall. 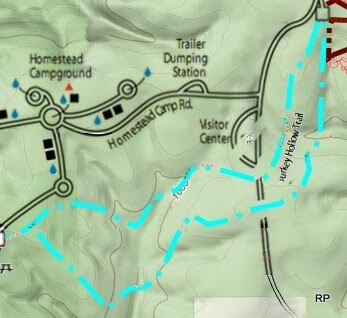 Topographical Map The next series of blogs will be about the 14.2 miles of land trails of Wyalusing State Park. Wyalusing State Park is blessed with hiking trails that traverse some of the most beautiful scenery in Wisconsin. 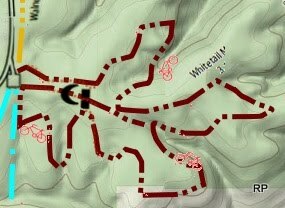 Trails offer a variety of terrain ranging from easy, moderate slopes to steep climbs with steps. View large topographical Map. Sand Cave Trail was redesigned and completed in late fall 2009. 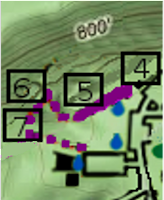 This trail encompasses Little Sand Cave as well as Big Sand Cave. Black Thunder Point, located between the two caves offers great views of the Wisconsin River. 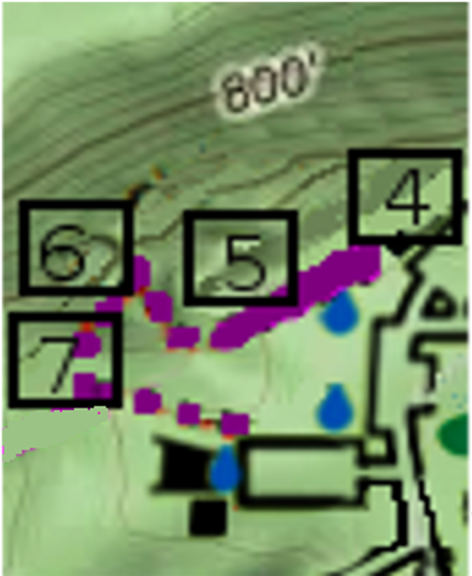 Distance from the old park office to Big Sand Cave (one way) is .8 of a mile. 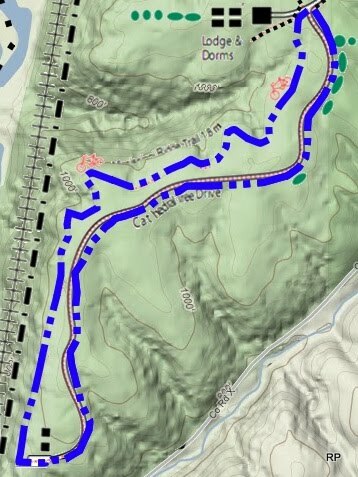 An additional .8 of a mile will take you around the loop past Little Sand Cave. 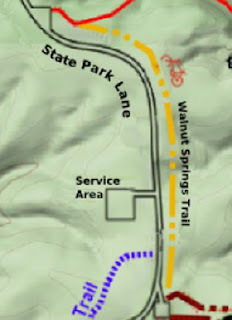 Wyalusing State Park features eleven trails. some of which are easy and others provide a challenge. 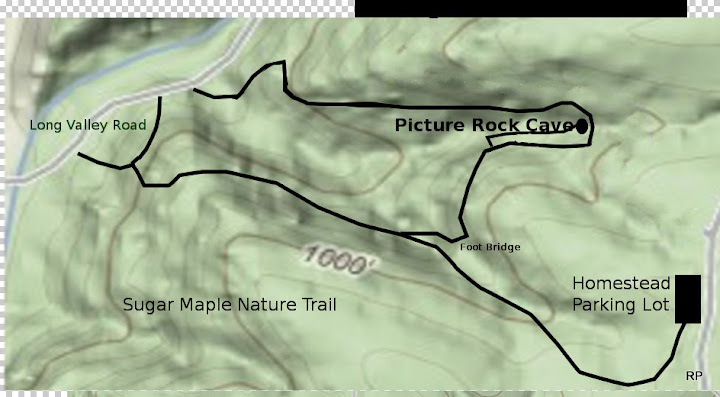 The trails feature caves, prairies, springs, and bluffs. Each one offers views and memories along the way. 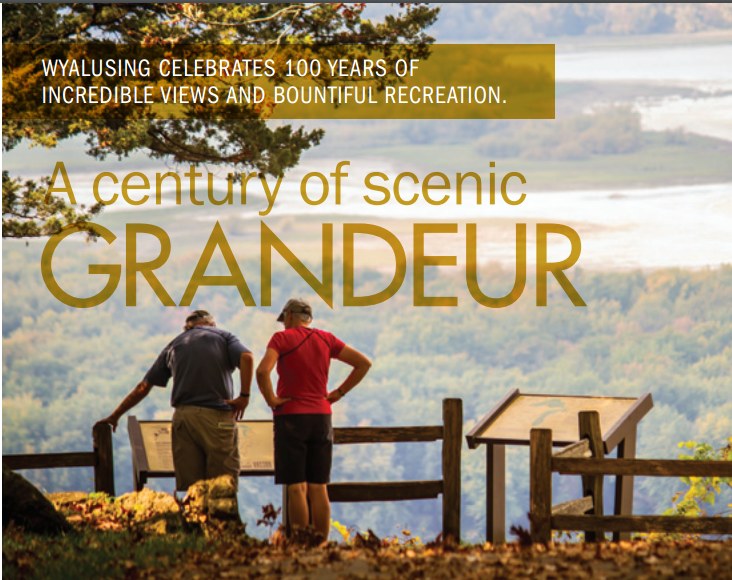 There is still one more trail that Wyalusing State Park features - The Grand Tour! Wyalusing State Park and the U.S. Fish and Wildlife Service maintain a canoe/kayak area in the backwater of the Upper Mississippi River National Wildlife and Fish Refuge. 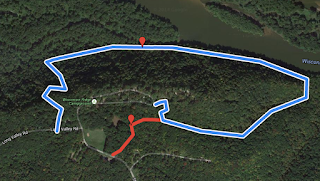 Paddlers can travel North and South from Wyalusing State Park boat landing, though Glenn Lake and Woodyard slough. 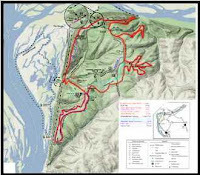 Paddlers traveling North can follow a marked trail through Woodyard Slough to the main channel. and back to the boat landing. Wood Yard Slough is only accessible by canoe or kayak. It is the most scenic. 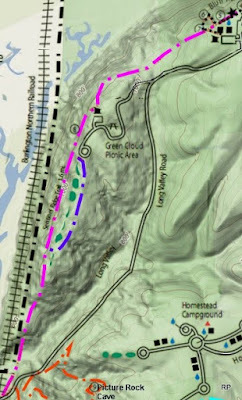 The trail section is 'upstream' from the boat landing through Glenn Lake. The current is generally slow with few exceptions in narrow parts of the stream. Look for blue and white trail signs. The canoe/kayak water trail offers a unique way to see the waterfowl, aquatic plants, and diverse animal life of the river bottom lands. Glenn Lake is most conducive to fishing. Paddlers will share the southern part of the lake with fishing boats.